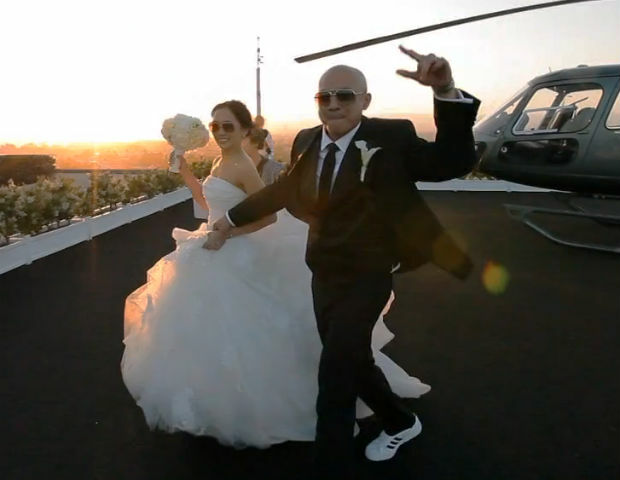 When a wedding turns into "Inception"
(CBS)- There are some awesome wedding videos out there. And then there is this video, directed and edited by Lloyd Calomay Films, which is on a whole other plane of consciousness. Played at the bride and grooms reception when they were "running late" the video plays on the hit movie "Inception." Thanks to some incredibly clever and fast same day editing of wedding footage from just hours before, the bride and groom surprise their entire reception party with an incredible entrance, no one was expecting.